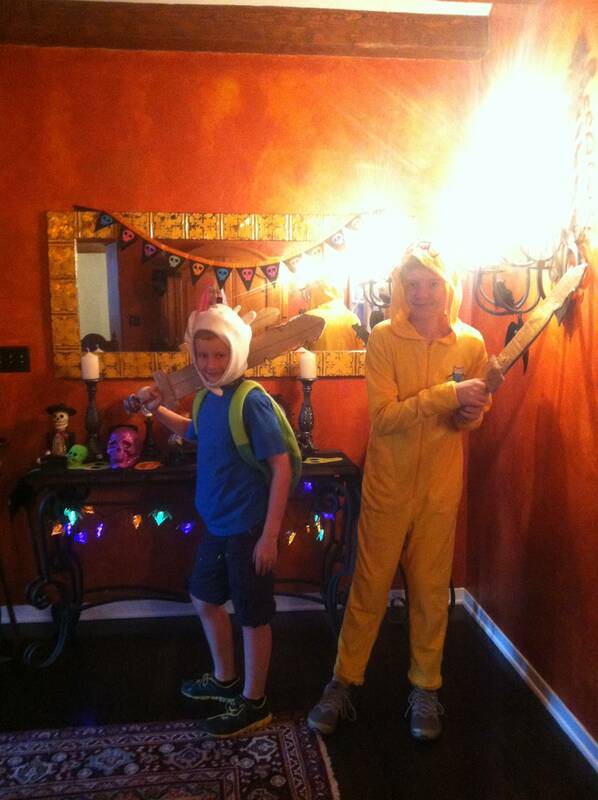 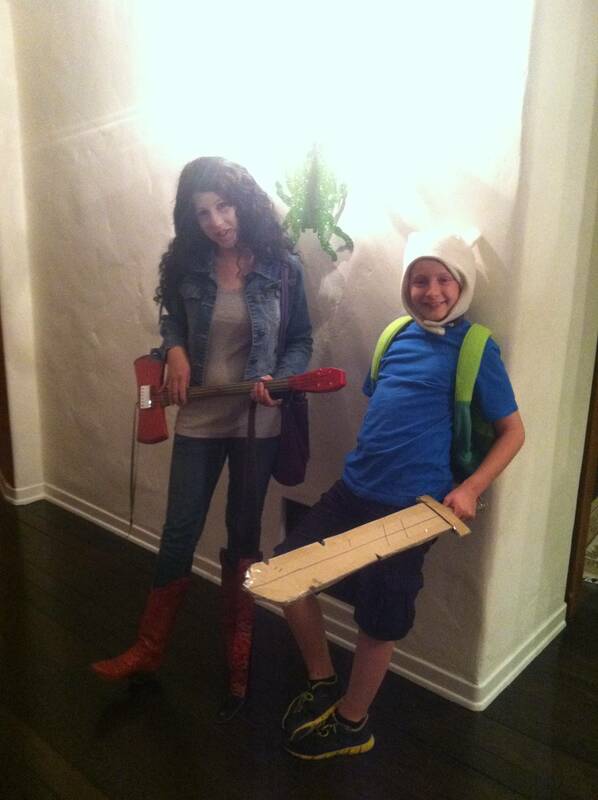 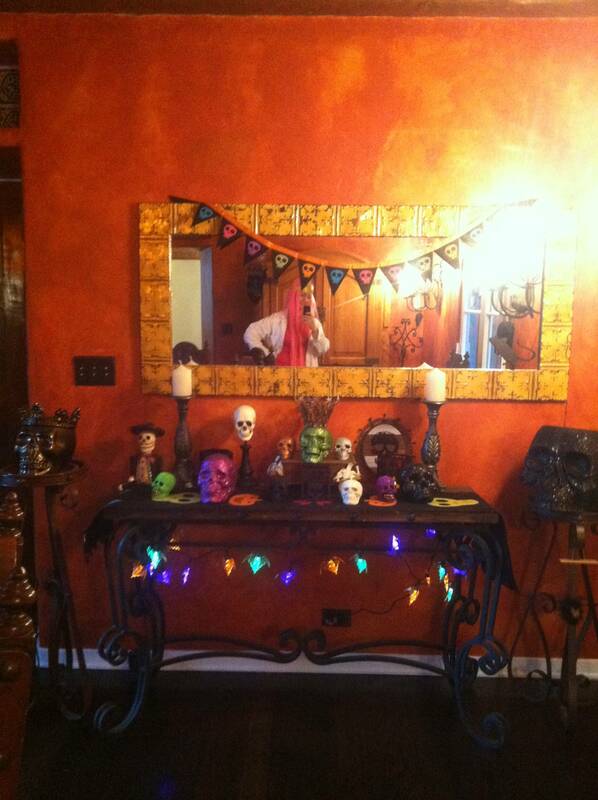 We all wore our Adventure Time costumes again and got ready for our friends to arrive. 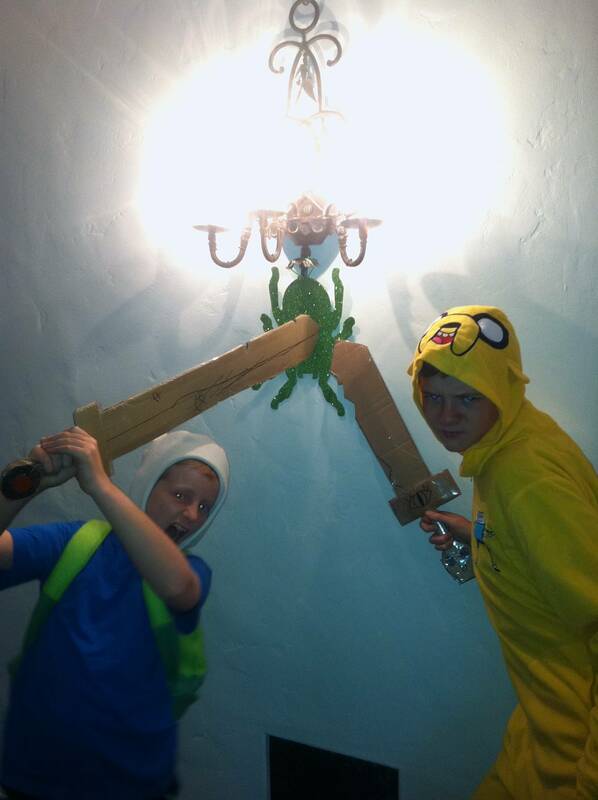 Here are Festive Finn and Jake and Battle Finn and Jake killing a spider with the cardboard swords they made. 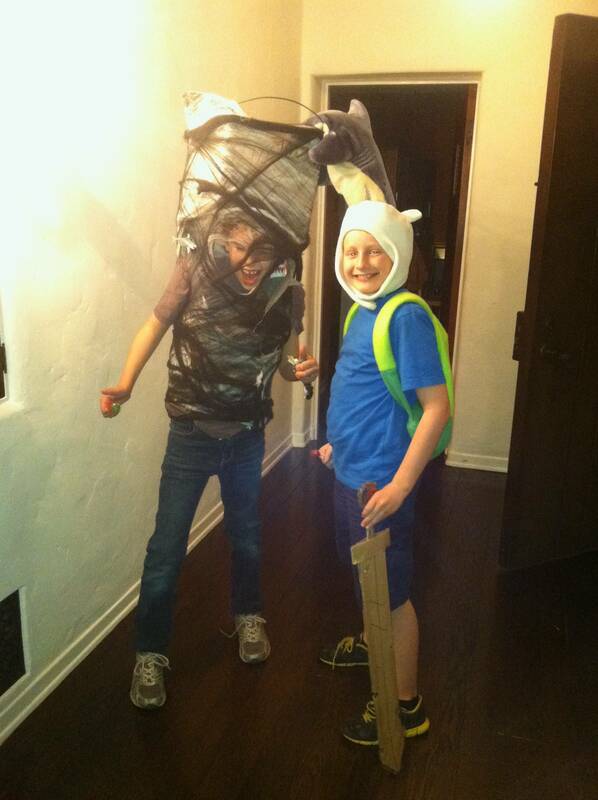 We had the boys' little cousins over as well as some of their friends and their parents for a little party. 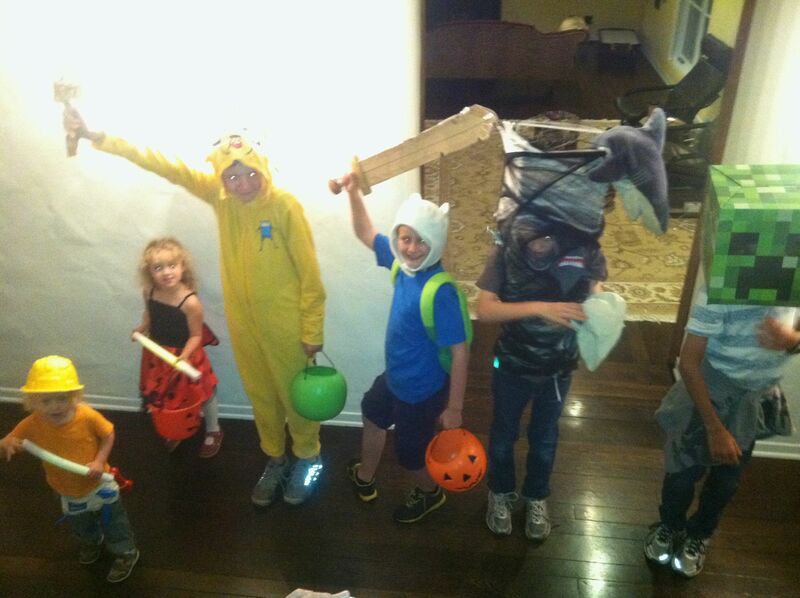 Construction boy, Ladybug, Jake, Finn, Sharknado and a creeper are ready for CANDY!